What voodoo is this?! It’s all about voxels, or volumetric pixels. 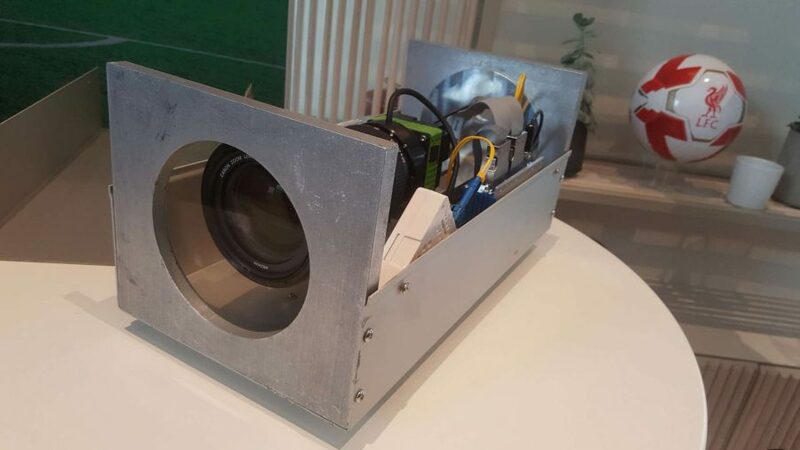 The True View system requires a whole lot of expensive tech to make it a reality, with 38 individual 5K cameras installed around the upper tiers of a stadium, all connected via fiber to a local server room with 40 different Intel Xeon servers inside it. The cameras provide full coverage of the football pitch, though are trained on two specific hot zones at the edge of both the 18 yard boxes. This gives the cameras a perfect picture of events on the field, but the magic can only happen when all of them are synchronised at the pixel level. This finegrain accuracy means that every single pixel can be tracked from multiple angles, providing three dimensional data to create the voxels. There are another two featured modes the True View system can afford broadcasters; the 360° view and the Laser Wall. 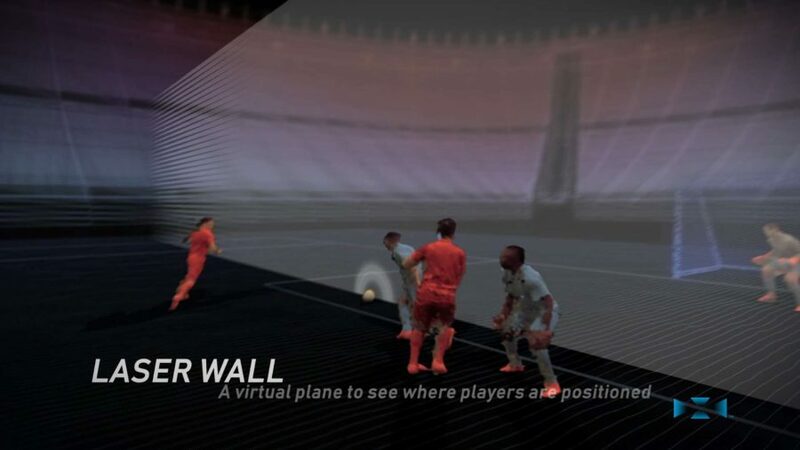 The 360° view allows for a static camera to be placed anywhere on the pitch, while the Laser Wall offers a way of marking sections of the pitch, for offside analysis, for example. Though Intel is very keen to stress this is not an officiating tool, so don’t expect Intel to be powering the Premier Leagues VAR system anytime soon. Each True View system has to have the expensive local server room, as well as a control room, in order to process the huge amount of raw data as quickly as possible. 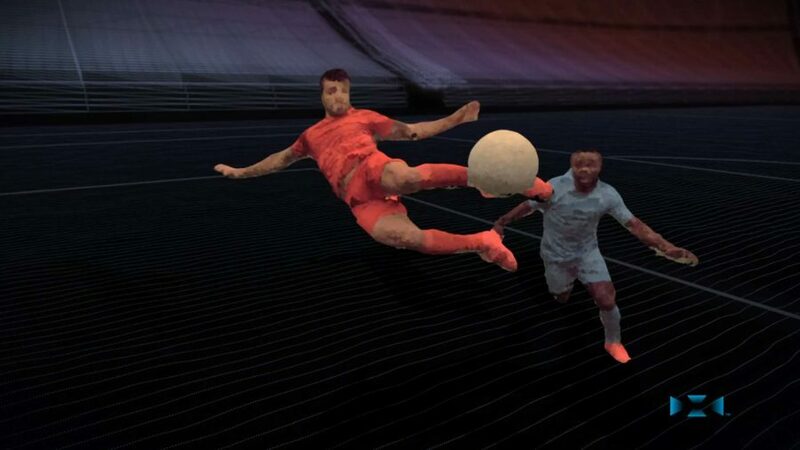 The on-site servers will process around 200TB of data over the course of a 90 minute match, but even so it can take a minimum of 30 seconds from an incident happening to a True View version of events to be broadcast live. That’s 20 seconds for processing and another 10 seconds for the associate producer in the control room to select the perfect view and shunt the replay over to the current broadcast partner. At the moment that would be either Sky or BT Sport, but that just depends on who has the rights to whatever game is being shown. The full match can then be packaged up for the club to use in their own post-broadcast platforms. On their own on-demand video apps, or on their fan sites. The final package does get compressed down a touch so they don’t have to store 200TB of data for each match. The technology is being used in the US for NFL games, and in Spain’s La Liga, and a standard True View clip you can manipulate on the Super Bowl app is only about 10MB in size, so individual clips are small enough to send to mobile devices without problem. 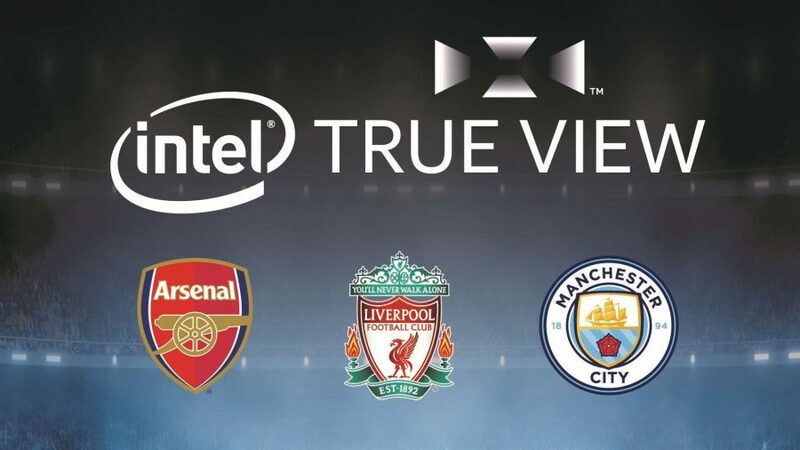 The first-gen version of True View with the three clubs currently onboard will just be used to augment existing broadcasts, though the hope is that in the future it will be used by an individual football fan “to tell their own personal stories,” as Intel Sport’s Jonathan Levene says. That’s a little further down the line, and will hopefully also accompany the spread of the technology throughout all the current Premier League clubs. At the moment the individual deals have been made on a per-club basis, but Intel would love to have that deal be made with the league’s governing body itself. A lofty goal indeed, especially considering the level of investment needed to get True View installed and calibrated ahead of every single match. Intel wouldn’t talk about how much it costs to set up, or even whether Intel or the clubs involved shouldered the heavier financial burden. We do know that it’s Intel who has to provide all the expensive server hardware, so it wouldn’t be a surprise if it also shared a significant percentage of the camera and setup costs too. This is early days for True View in the Premier League, and in its current state isn’t going to make a huge difference to the end user, however much it’s used in post-match analysis in the studio, but there is a potentially exciting future where we, as fans, are in total control of how we view a football match. Though, given business-savvy minds running the country’s top clubs, you can bet any “personal stories” created by fans using True View will be heavily monetised via their various digital platforms.